In this excerpt from The Good Doctor: A Father, A Son, and the Evolution of Medical Ethics, Barron H. Lerner, a doctor, describes how his father, also a doctor, once made a medical decision that they still disagree about today. The incident involved a do not resuscitate order and is detailed below. My father documented the details of the patient’s illness and his actions in a six-page typed document that he wrote in October 1996 — shortly after the event — and placed with his journals. The patient, who he described as elderly, had both severe arthritis and vascular disease. She had apparently not been out of bed for several years and had already been hospitalized at Mount Sinai for several weeks. My father had been intimately involved in her care, treating several complicated infections. Since the woman was immobile and had a very poor appetite, she had developed massive tissue breakdown in the area of her lower back and buttocks. It was impossible, he added, to position her comfortably. The woman had already declined certain potentially lifesaving interventions, such as a PEG tube, indicating that she was well aware of the terminal nature of her condition. Her primary physician, however, had not used these decisions as an opportunity to clarify her larger treatment goals or the issue of resuscitation. When my father’s infectious diseases team first realised that the patient had died, he decided, “unilaterally and without any discussion,” and in “total disregard of the concept of patient autonomy,” not to call a code, which would have summoned the chest team to begin resuscitation efforts. But when he left the floor, other staff members had misgivings. A house officer called the patient’s primary physician, who told him to call a code even though roughly ten minutes had elapsed. When my father heard the announcement on the overhead page system, he returned to the patient’s room, “quickly dispersed this effort and chased everyone out of the room.” It was during this period that he physically placed himself between the patient’s body and those attempting to resuscitate her. That my dad could essentially get away with aborting two resuscitations on a patient with no DNR order was a testament to the enormous respect and authority he had at his hospital. It was a throwback to the Osler and Loeb eras, when deference to the senior physician’s judgment — even when it directly contradicted protocol — was the rule. In justifying his actions as “correct and merciful,” my father used familiar language. The patient’s life was unbearable, her prognosis was terrible, and all efforts to reverse her deteriorating situation had been either fruitless or declined by her. “We were stymied and stumped and she was paying the price for our inability to reverse things,” he wrote. In this rendition, the cardiac arrest was simply the natural progression of someone with her incurable illness. The nurses, he wrote, were in agreement with his actions, but some of his fellow physicians had objected on both ethical and legal grounds, fearing that such behaviour could lead to malpractice lawsuits. I was sure enough of my position that when I first saw his notes on the case, which he entitled “A Criminal Act,” I assumed he was referring to his own behaviour as criminal — albeit justifiable, in his eyes. 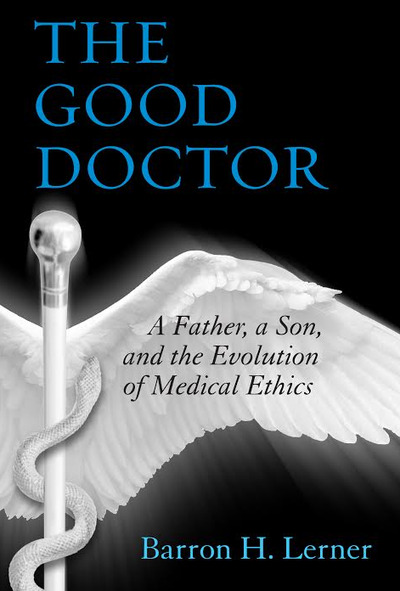 Excerpted from The Good Doctor: A Father, A Son, and the Evolution of Medical Ethics by Barron H. Lerner, (Beacon Press, 2014). Excerpted with permission by Beacon Press.